If you are interested in sponsoring Lightning G Productions, click here for contact information. LEAD, DON’T FOLLOW. Since 1996, the Cinch Clothing brand has been creating quality jeans and shirts for western men both in and out of the arena. Some of the best athletes from the rodeo, bull riding and equine performance circles love Cinch jeans and shirts because of the quality fit and the authentic western look. Whether fashion basics or premium styles, the designs and reputation of Cinch Jeans make Cinch Clothing the number one choice for those who live and breathe the western way of life. From collared shirts with short sleeves or long sleeves to outerwear and athletic gear to fashion-forward western jeans, the Cinch brand puts fit and styling first. Developed for Bull Riding, Barrel Racing, Equestrian, Extreme Sports, Workplace Safety, and Other Extreme Sports, 100X Helmets brings you cutting edge protection with carbon fiber and kevlar technology. So ask yourself #WhyTheHelmet, and check out 100X today! Safety and comfort are two main qualities horsemen look for when purchasing tack for their four-legged athletes. Oxbow Tack offers a complete line of equine tack products that have those exact qualities in each product...not to mention style! Check them out on Facebook to find an authorized retailer near you! The Red Master Harrow line of products is designed and manufactured in Amarillo, Texas. Red Master Harrow is committed to helping you achieve perfect footing for your equine disciplines. We offer Lifetime Warranties on all Red Master Harrow frames. Our products are shipped fully assembled with equipment maintenance instructions. We also offer full customer support via our toll free number. We are a family owned and operated business. When you buy from us you become part of the JHA family. Strength, Innovation, and Customization are the qualities that make Twister Trailers an industry leader. For two decades, our reputation for quality, comfort, and style defines what makes a Twister Trailer. Each Twister Trailer is designed to customer specifications from layout to finish. Our trailers are built to withstand tough road conditions and keep your horses safe and comfortable doing so. We pride ourselves on meeting our customers changing needs and expectations. Our trailer line continually evolves with collaborations from dealers and customers to refine designs and options. Our dealer network is experienced in the trailer design process, along with the support we offer to include our engineering and sales department. 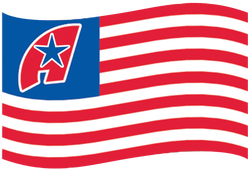 NRS Trailers is an authorized Twister Trailer dealership with 5 locations all over the United States. We are proud to carry a large selection of new and pre-owned inventory. Ready to invest in new horse trailers, living quarters, stock trailers or utility trailers? Our friendly and knowledgeable sales, financing, service and parts departments are prepared to make your experience outstanding, from assisting while you're making your choice to ongoing maintenance and customization. At NRS Trailers, we value the opportunity to create a long-term relationship with our customers, and we do that by giving you the best customer service. 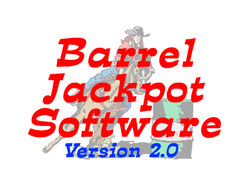 When it comes to fast, easy, and efficient software, there is only one program that Lightning G Productions turns to when producing a barrel racing event and that is Barrel Jackpot Software. Created by a barrel racing producer, it has all of the 'bells and whistles' that a producer needs to look and feel professional when it comes to handling entries, times, results, pay-outs, and even tracking stalls!